Second only to our wheel fetish is the one for technical wear. I’ve got it down to a science, what I wear on the bike, and have been practicing it for more than 15 years. In the Northwest, you’re going to get wet, soaked actually. The challenge is staying warm but not too warm and sweaty. Enter eVent and it’s mixed up what I’m layering and how many layers. Where I’d wear 4 layers with Windtex it’s now 2 with eVent and the best choice for the base layer I’m still working on. Wool or synthetic or both. A post about eVent needed some research and I’ve ridden with the George Signature eVent Shell a handful of times now in various conditions. I spent time with the Google reading up on eVent, watching videos on YouTube, and Snow Hugger reviewed the REI Shuksan Jacket last year. Also read about how rainwear works. The eVent material isn’t new. It just hasn’t been focused on or marketed to performance cyclists. Descente has a Bobby Julich shell made with eVent but I’ve never seen one and it’s no longer available. What changed is GE bought eVent and they switched tactics to allow venders to purchase their membrane directly. I expect to see more eVent jackets in the coming seasons like this REI prototype. Admittedly I was a bit nervous with just a base layer and shell that I’d either get cold or sweaty and then cold. Neither happened and the first impressions are that the jacket works across a variety of conditions. I modulated the temperature and moisture in the jacket with the zipper. Getting warm: unzip. Cold again: zip up. 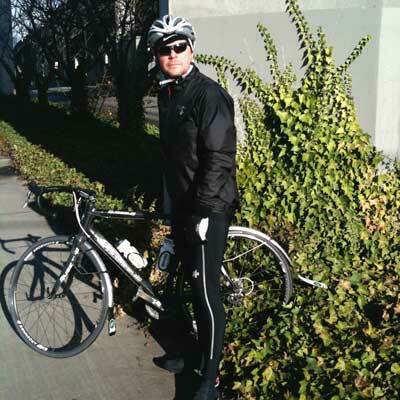 The jacket breathes well enough that when I did sweat it out – on a hard climb – it vented enough that I didn’t stay wet. This is the first time I’ve ended a ride dry from both sweat and rain. For the colder days, I’m using an Ibex base layer and a Hincapie base layer. I also used a Craft base layer. I think you could combine those and also try a long sleeve jersey to find the right “equilibrium.” I don’t have it down yet, nothing bad, just working on the right mix. The Ibex has a zipper so I can also modulate temperatures from the base layer. The reason I ride with Windtex, as does most everyone I ride with, is that Gore-Tek is too hot for Northwest temperatures and conditions. It just doesn’t breathe for me. For others it does; especially if you’re commuting. My urban jacket is a rubberized nylon wool wonder from Ibex. Perfect for a mellow ride to the store. For the 4 hour tempo ride with the boys in a paceline, it’s now the eVent. As enthusiastic as I am about Hincapie’s Jacket it does need more reflectivity and pockets. 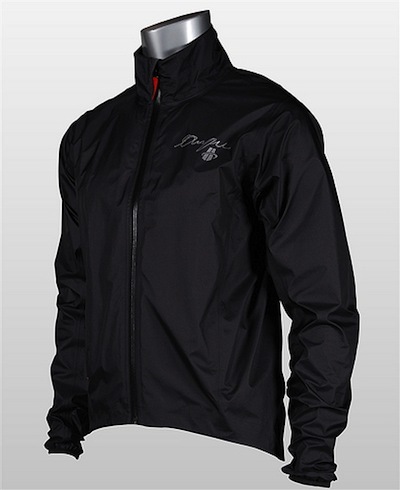 Understanding it’s a racing jacket and in ninja black, but adding reflective piping would help on the dark dreary days or if you get caught after sundown. The jacket has a roomy and well-protected rear pouch. Sadly, few of us have team cars or domestiques giving us hand ups on long rides. I was eating on a long descent this weekend and it was a struggle to get into the pocket with gloves on. The jacket needs a breast pocket or at least an inside pocket for food and a phone. A two-way zip would prevent a wet chest when you vent the jacket. The eVent in action with the sun out, zipped up, and not too hot. Note the Nike cycling cap. On cooler days, I’m wearing the Ibex Coppi Merino and will post a review of that soon. The George Signature eVent Shell is included in the select goods we’re showing this week during the Hugga Sale @uRBDO.